Can you please tell me about, pursuing MBA from IGC Bremen (Hoschule Bremen) ? What is reputation of this University in Germany and what are job prospects after graduating from this college? Just search the board and read. Bremen makes no claims about job prospects. If you want to work, take an MBA with international accreditation at a ranked MBA. Indeed. A good place to start is here: "Top 10 Ranked Business Schools in German-Speaking Europe"
A lot of great options in Germany, from accredited schools like ESMT, Mannheim Business School, WHU, HHL, etc. etc. etc. Thanks for replying . So you mean to say IGC Bremen is not accredited ? Indeed, it does not have meaningful international accreditation. The UNCW degree does, but very few students will be selected for that and it won't help much in Germany to have a degree from a school than even few Americans have heard of. All the IGC programs are accredited! According to their Website they have the curricula accredited by an external accreditation agencies (ZEvA, AQAS, AACSB*). The Central Evaluating Agency (ZEvA) is part of the European Network of Quality Assurance in Higher Education (ENQA). All master (MBA) degrees of the International Graduate Center are official degrees of a German public university. Therefore they are accepted by universities and governments in and outside of Europe. *the AACSB accreditation applies to the corporate IBSA-Master programme from IGC and UNCW, USA. A very small number of students at Bremen will get the UNCW MBA: surely it cannot be more than a handful each year. Certainly the UNCW does have meaningful accreditation. The IGC qualification however lacks meaningful accreditation, which means AMBA, EQUIS or AACSB. I would like to add that even though the IGC programs do not have international accreditation, they still provide very good job perspectives. I know a lot of people who studied in Bremen and got a good job at international companies right afterwards. And I think that is what really matters when chosing a MBA. Most people find work after any masters' programme. The point about Bremen is that it doesn't publish placement data, and it would if its outcomes were above average. [quote]I would like to add that even though the IGC programs do not have international accreditation, they still provide very good job perspectives. I know a lot of people who studied in Bremen and got a good job at international companies right afterwards. I would like to know is this hochshule recognized in other EU countries? I was accepted to Bremen Hochshule and I am facing a dilemma now. If it does not have international accreditation , it means I cannot work for international companies or in another european country ? That's not what it means. You can work for whoever you want, an MBA isn't a requirement for most jobs, and an MBA from a specific school will never be asked for. However, will it be harder for you to find a job in another European country with an MBA that doesn't have international accreditation? Yes. The career resources and networking opportunities will not be as good as if you did your MBA at a ranked school like ESMT or Mannheim. But if you wanted to work in another European country, you should probably study in that country. Labor markets are usually national. My name is Erwin. I come from Indonesia. I am interested to enroll for double degree program (MBA + MSc) of IGC which collaborate with ESCCA France. In IGC's website, mentioned that IGC's MBA program has AACSB accreditation, whereas ESCCA's MSc program has triple accreditation (AACSB, EQUIS and AMBA). Kindly please share your opinion with me regarding that double degree program. If I am going to develop my global career in higher education institution as the lecturer of master program (and off course it requires me to obtain doctoral degree as well), should I consider the master program with triple accreditation as well?. IGC's website has misled you. IGC is not accredited by AACSB. It has a double MBA with UNCW, and UNCW is accredited by AACSB. However, few students will take the track at UNC. 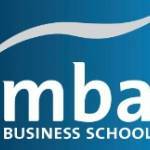 AMBA has accredited only one programme at ESSCA, the MBM (https://www.mbaworld.com/en/business-schools/business-school-search/business-school-detail/france-essca). EPAS accreditation applies only to its Grande Ecole programme. PS If you want to do a PhD, I suggest that you instead take a masters that is more focussed on research. Here are some European suggestions: https://busimod.com/2jWY7F5 Of course if would be ideal if you studied somewhere that has a PhD programme (which IGC and ESSCA cannot do). That is where you would find research-active staff who would be able to help you identify strong PhD options. Leuven, NHH, Antwerp, WU, Kozminski, Lausanne and Hohenheim stand out to me. I know ESMT, Mannheim, etc are recognized universities, however they are far beyond my budget. How about HWR Berlin? How about a Full-time MBA from HWR Berlin? Can you please suggest which would be a better choice? Further, what would be the scope if I come back to India after completing MBA from IGC & UNCW? Will I get a good job because I shall be taking educational loan. Request you to kindly help as I am really confused. I suggest you search for UNCW MBAs in India using LinkedIn. The form of words 'can be selected' seems very ambiguous to me. I can be selected for the Olympic team, but I probably won't be. If you don't have a guaranteed seat at UNCW, where I imagine UNC will wants people with strong finance skills, then Bremen is a worse choice than a free MSc from a state university. You are right that 'can be selected' seems ambiguous, however I wrote that because I got it confirmed from HS Bremen. They in turn had sent my profile to UNCW to confirm if I was suitable for that specialization & got an email stating I will be given an admission for this specialization. Further more I can speak German as well. Hence I asked you if IGC is a good choice. Decision from HWR Berlin for Full Time MBA is yet to be received. Can you please confirm which would be a good choice? IGC or HWR Berlin? And if I am getting specialization at UNCW, should I proceed with the admission formalities? Thanks for a last & quick update. If you want to return home, why does German matter? Obviously neither are better options for working in Germany than a MSc in BWL. HWR cohort will be much more experienced because of AMBA accreditation. IGC is a Freshers' MSc. Unless UNCW really matters to you, and it's really not nuch better than most German state Universitaeten, then it doesn't make sense. If you speak German, why on earth are you not taking an MSc in BWL?